Everyone loves polar bears. We’ve all seen them at the zoo: they’re big, soft and smart enough to play games with balls, tires swings and buckets. Polar bears are also aggressive, hungry predators who are stressed out from dealing with shrinking habitats and loss of hunting grounds. So, they might eat you. But that’s part of the fun! This year, go on a polar bear hunt and see if you can spot one of these beautiful and dangerous creatures. Polar bear watching is a Canadian specialty. Churchill, Manitoba might be the best known polar bear hangout and this outpost town has a bustling polar bear tourism industry. 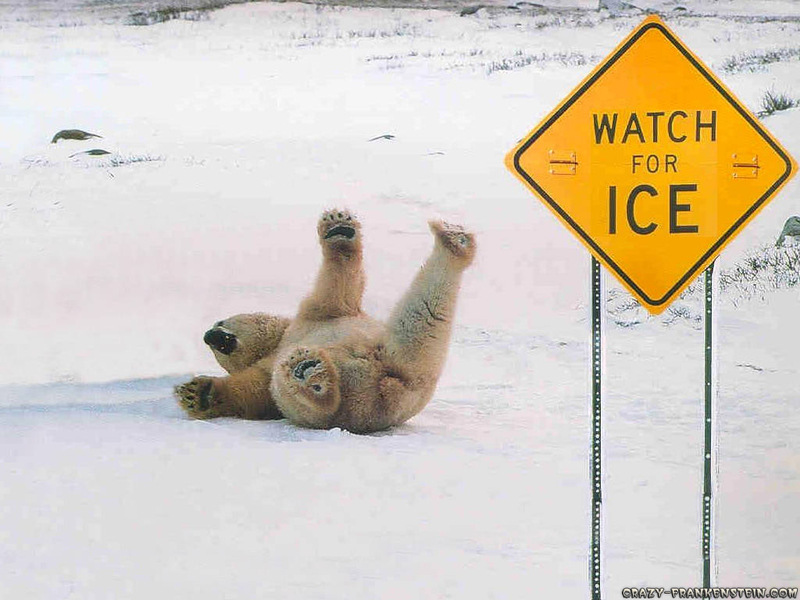 Keep in mind that polar bear viewing has a short season. Starting in mid-October, there are about four to six weeks to get your best chances at seeing a bear – and temperatures can be chilly out on the shores of Hundson Bay during mid-autumn. Accommodations in Churchill are not luxurious – this frozen frontier town offers running water, heating and hospitality, but there is no mistaking that you’re in a wilderness outpost – provisions can sometimes run scarce and the town is reliant on shipments that arrive at the deep inland port. Despite the lack of frills, there are plenty of experienced guides who will get you in the right place at the right time to see polar bears. Nunavut is Canada’s largest northern territory and home to a large Inuit population, many of whom still observe ancient traditions. The communities are remote, small and cold, but they offer some wonderful wildlife spotting opportunities. In Resolute Bay (famous resting place of the doomed Franklin expedition) you can set out on an expedition for the North Pole, or be outfitted for a polar bear watching tour (definitely the less intensive of the two activities). The best time to see polar bears in Nunavut is between May and August. Like its northern neighbours, Alaska also offers polar bear tours through its great wilderness. A wide variety of tours are available – long-distance photography tours, mountain expeditions, and Aurora Borealis viewings – some of which offer polar bear viewing. The easiest way to see polar bears in Alaska is to head up to Barrow (you’ll need to fly over from Fairbanks) and enlist a local guide. Between June and August is prime polar bear time. Polar bears are not exclusive to North America, however. Svalbard, Norway is famous for its bear safaris. You can expect to be treated to the ultimate arctic tourism experience in this little town of 3000 people. Harsh winter conditions set the scene while local tour companies offer small group tours by boat in search of puffins, walrus and, of course, polar bears.